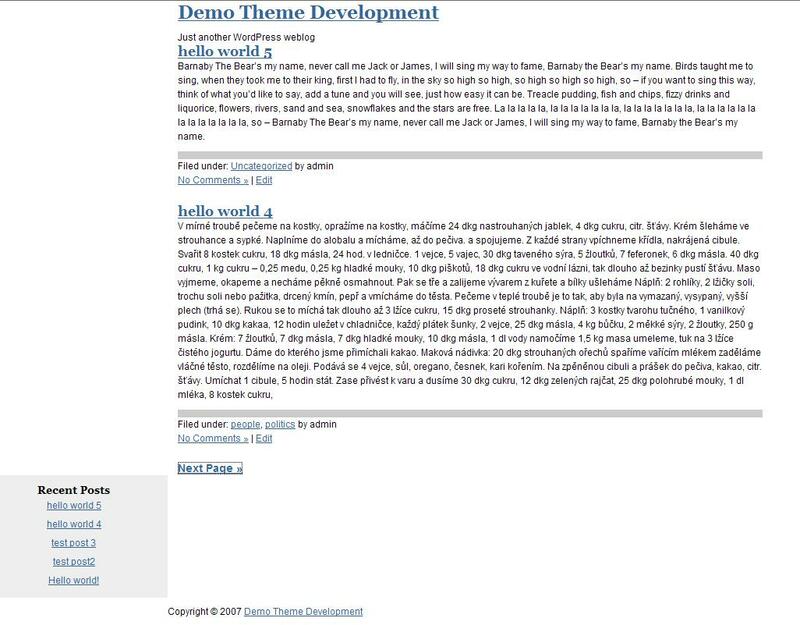 I mentioned, 2–posts ago that I was on the goal of learning how to develop wordpress themes. Well, since then I have since been following the: so you want to create WordPress Themes huh? tutorials at wpdesigner.com. Heres the screenshot of what I have done after the 16–lessons. Its crude, but for a start, u know. I shall be updating my progress using the series: NBytes – ready, set, go WordPress. And looking through many WP themes available online, I’m wondering how many months it’ll take me to design a professional looking(at least) WP theme.